You have a lot of options when it comes to choosing a roofing contractor, so why us? When it comes to your roof, we take the safety and needs of the families in our community seriously. 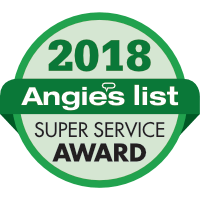 We’re committed to being your partner and offer award-winning customer service. We answer the phone! We’re open from 7 am until 7 pm Monday through Saturday. And when we’re not in the office you can reach us on our 24-hour emergency response line. We’re punctual! We show up on time for our appointments, just like we promised. We focus on you until the job is complete. Our contractors do and complete one project at a time, so you get our full attention. We give you straightforward pricing. Our inspections take everything to account. No surprise overages! We offer a 100% satisfaction guarantee. The job isn’t done until you’re happy. No exceptions. Protecting your home starts at the roof. Even slight cosmetic damage can be a symptom of an underlying problem, or it can lead to something more serious. 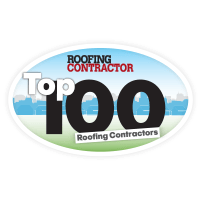 As a Top 100 Roofing Contractor, you can trust that Guardian will do a complete and professional job every time. Whether it’s a simple repair or a complete replacement, our team of GAF Master Elite Contractors is here to help. A leaking roof is the most common issue homeowners face. And while a heavy rainstorm may be your first indication that there’s a leak, there are a variety of circumstances that cause the damage. Extreme weather conditions like storms, freeze/thaw cycles, extreme temperatures, and relentless summer sun accelerate your roof’s aging. Snow and ice that accumulate, melt and freeze can cause water to seep into tiny cracks between and under shingles. These cracks will expand over time. Also, the weight of snow and ice can cause warping and sagging. Missing or damaged shingles expose an area for leaking. Brick chimneys are vulnerable where the mortar holds them together. This area, plus the flashing and chimney crown damage easily, exposing the roof to a leak. The same thing that occurs with chimneys happens with skylights, too. The rubber and vinyl seals are especially vulnerable, and when they dry out and crack, the skylight needs to be replaced. Vents have exposed fasteners, which can eventually lead to leaking, especially since the vents aren’t designed to last as long as your roof. Holes are an obvious culprit, but tiny and less obvious holes like removing an antenna or dish mounting bracket can lead to leaking. Intricate rooflines are more difficult to waterproof because every joint, valley and slope must be sealed. If you have an attic, ventilation issues can cause moisture buildup. Without adequate intake and exhaust to remove moisture from your attic, there can be wood rot, mold, and damaged insulation. Blocked rain gutters can cause rainwater to seep under shingles and rot the wood underneath. Some of these conditions are more serious than others. The best way to prevent leaking is to schedule annual inspections and be proactive. By scheduling routine and preventive maintenance, you can prolong the life and minimize repair costs. Wind can cause damage by pulling up shingles to expose your insulation and wood to dry rot, water damage, and leaks. It can also wreak havoc by blowing heavy debris like tree branches onto your home, which can cause catastrophic damage. After a potentially damaging wind episode, check your roof immediately. Look for shingles that are curled, cracked, torn or missing. Check your gutters for clogging and see if your chimneys have damaged brick or mortar. Don’t forget to inspect inside your home, too. Inspect attic rafters and insulation for damp areas. Check your interior drywall and ceilings for moisture, discoloration, and peeling paint. If your roof is improperly repaired, it can result in even further damage, like leaks, mold, discolored and soggy sheetrock and insulation, and rotting wood rafters and framework. If the faulty workmanship extends to the HVAC system or electrical wiring, repair costs can skyrocket. Read the reviews. Look for consistencies (good or bad) on sites like Yelp or Angie’s List. A lot of satisfied customers will mention their contractor by name. Check the Better Business Bureau (BBB) ratings. Look for an A rating and check to see that they’ve fulfilled the accreditation requirements, such as being in business for 12 months, insurance coverage, and licensing. Look for industry awards and designations. These are difficult to get and are given to ethical companies who perform excellent work and provide top-notch customer service. One aware of distinction you should seek out is the GAF certification (General Aniline & Film manufacturing company). Only the top 3% of roofing companies can be recognized as Master Elite Contractors. Ask for proof of insurance and licenses. Work directly with your insurance company to ensure the claim is handled properly. It may be tempting and convenient to let the roofing company handle this step, especially if they offer to save you the insurance deductible. Don’t do it. It’s likely they’re committing insurance fraud. Get multiple estimates so you can compare the price and scope of the work. Compare material options. Some are going to be more expensive, and there are steps to take to ensure longevity, which may also be costlier. Decide what your goals are and evaluate accordingly. A full replacement is a serious investment. Knowing whether the damage can be fixed with a repair or a brand-new roof is a decision that your roofing contractor will help you make. When you’re getting quotes for this type of job, carefully evaluate all of your bids. Cheaper isn’t necessarily better. If something seems too good to be true, it probably is, so ask a lot of questions! Wet spots on the ceiling: brown spots or dripping signify that substantial damage has occurred. This issue needs to be addressed immediately. Damaged flashing: Skylights, chimneys, vent pipes and dormers need adequate flashing to protect against leaks. If it doesn’t look right, call a trained professional to fix it. It’s a simple procedure and necessary for maintenance. Missing granules: This is a sign that it is at the end of its life. It is more susceptible to leaks, or even blowing off. The granules act as a UV protector and without them, your roof is vulnerable and also ages exponentially faster. Buckled shingles: These are usually a symptom of a more serious issue. Contact someone right away for an inspection and diagnosis. Missing shingles or shakes: This happens due to wind, but having missing shingles or shakes exposes your roof to a variety of mishaps. Curling shingles or shakes: Curling happens at the end of the roof’s life. If it is more than 15 years old and you see curling, it’s usually a sign that it’s time for a replacement. Splitting shakes: Wood loses its natural oils over time, causing splitting. Again, this is a symptom that it is nearing the end of its useful life. Needles and leaves: While it may seem harmless, not removing needles and leaves promotes the growth of algae, which will take root and destroy your roof. Algae staining: Algae stains indicate that there is moss and algae are feeding on your wood. Avoid the temptation to do a high-pressure wash yourself to remove the stain as this will damage the roof. Instead, you should contact a professional to use a non-abrasive, non-toxic way to perform the cleaning. There’s nothing more important than keeping your family safe, and we take our commitment to the community seriously. If you’ve noticed any of the above damage, call us right away for a free inspection and estimate. They say an ounce of prevention is worth a pound of cure, and this same principle applies to your roof. By taking the appropriate preventive measures, you can extend the life of your roof by several years. Most people don’t think much about roofing until they see physical damage. At that point, costly repairs or a full-on replacement may be necessary. These steps may be avoidable with a roof maintenance schedule. Contrary to popular belief, roof maintenance is not expensive. And, it saves you money in the long run. You can contact us for a free 17-point inspection, and we’ll provide you with a routine maintenance schedule. To schedule an evaluation, call our office at 844-499-7822844-499-7822 or schedule an appointment online. One of our friendly representatives will schedule a time for one our licensed and drug-tested technicians to perform a thorough evaluation. Our 17-point inspection will evaluate your roof. Armed with this information, you can set up a routine maintenance schedule, get repairs or decide you need an entirely new one. At Guardian, we perform this detailed inspection at no cost. Curling, deterioration or brittleness of shingles. Remember, our complete roof inspections are complementary. Please call 844-499-7822844-499-7822 or schedule online today. Make sure that your home is protected from the harsh elements that can cause damage.